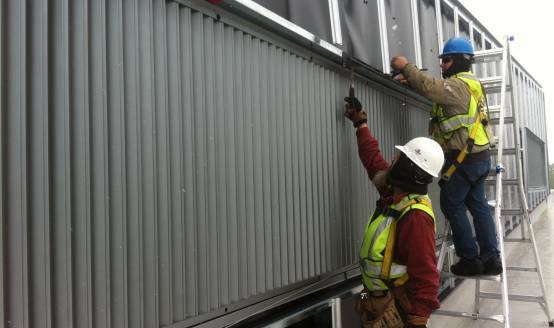 This project is a great example of how solar heat can be used as a cladding solution to provide Architecturally rich aesthetics on highly sensitive commercial facilities... Of course the benefit is that it generate's signficant amounts of energy while contributing to LEED certification points for renewable energy and ventilation. 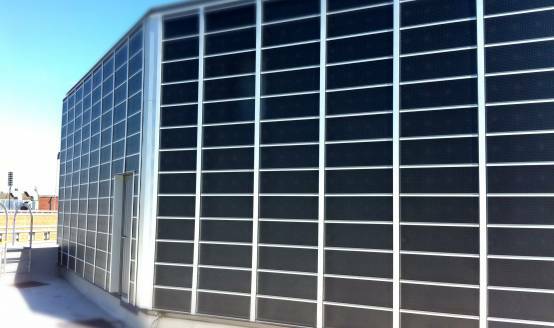 In late 2012, Shift Energy was selected by University of New Hampshire (UNH) to design and install this 2,400sf solar air heating system on the south west facing wall of Kingsbury Hall's rooftop penthouse. The project was delivered in partnership with Colby Company Engineers of Portland, ME who provided complete mechanical & structural engineering and the system was designed and supplied by Enerconcept Technologies Inc, using the Lubi glazed solar heating system. 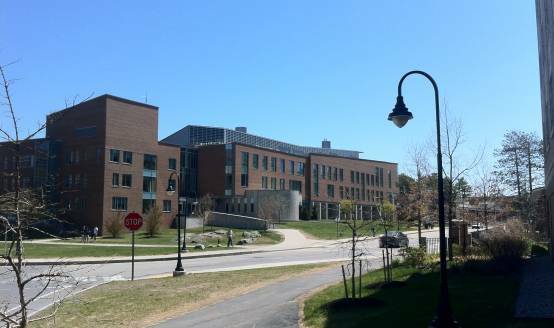 The project was awarded grant funding under the NH PUC's competitive renewable energy grant program, which Shift Energy helped pursue in partnership with UNH for this project. The wall system is connected in four locations to interior ductwork which provides solar heated fresh air to two separate Air Handling Units. The system is designed to preheat fresh air, and can provide up to 20,000 to 24,0000 cfm (Cubic Feet Per Minute) of fresh air using solar heat. 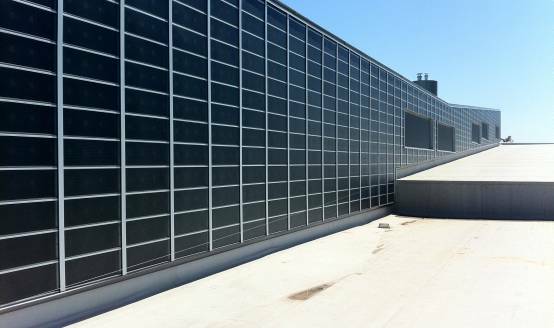 Completed in Spring 2013, this project is the first large scale solar heating system to be implemented using the Lubi glazed solar heating system in a University Application with high architectural standards. The project would not be possible without funding from the Renewable Energy Fund administered by NH's Public Utilities Commission competitive grant awards.